Join us on December 6 in Meridian to launch our Healthy Soils Cover Crop Project! Turn on Drexler Rd. from Hwy 20. Follow to the stop sign (2.5 mi) and take a right on Moroni Rd. Follow for 0.3 mi and take your first left onto S. Drexler Rd. S. Drexler turns into S. Meridian after 0.5 mi, field is on the left across from orchard. Follow UC Cooperative Extension signs from the corner of Moroni Rd. and S. Drexler Rd. In case of a rain event, field day will be held indoors at the UCCE Sutter-Yuba office. 142A Garden Hwy, Yuba City, CA. For more information or questions, please contact Amber Vinchesi at 530-458-0575/acvinchesi@ucanr.edu or Sarah Light at 530-822-7515/selight@ucanr.edu. 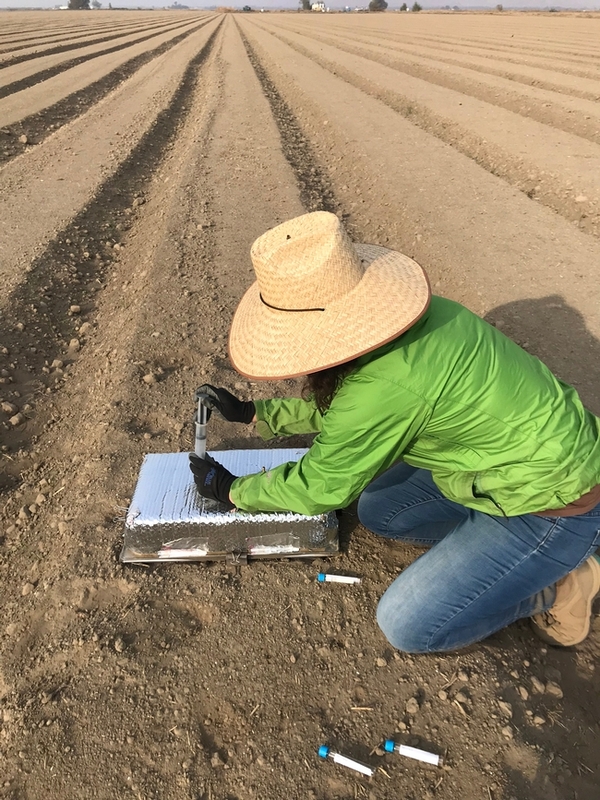 The 2017 Healthy Soils Demonstration Project is funded by Greenhouse Gas Reduction Funds and is part of California Climate Investments, a statewide program that puts billions of Cap-and-Trade dollars to work reducing GHG emissions, strengthening the economy, and improving public health and the environment.